A man was hit by falling concrete slabs outside Wanderlust Hotel in the Jalan Besar area on Tuesday night (Nov 27), and investigations by the Building and Construction Authority (BCA) are ongoing. Stomp understands that the 33-year-old Malaysian man had been sitting on a ledge outside the hotel when the incident occurred. He is understood to have sustained spinal injuries and is unable to move the lower part of his body. In response to a Stomp query, the Singapore Civil Defence Force (SCDF) said it received a call for medical assistance along 2 Dickson Road at around 11.40pm and conveyed one person to Tan Tock Seng Hospital. Stomper Chua was at a coffee shop nearby when he and other patrons heard a sound. He told Stomp in a phone interview: "It was very loud and sounded like something had dropped. 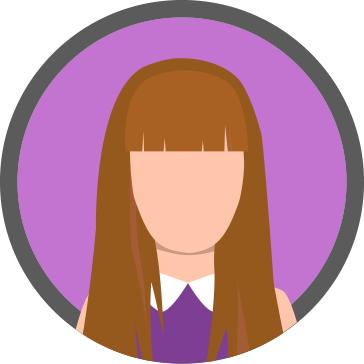 "We then realised that the concrete slabs had dropped down and hit a guy who was seated below." 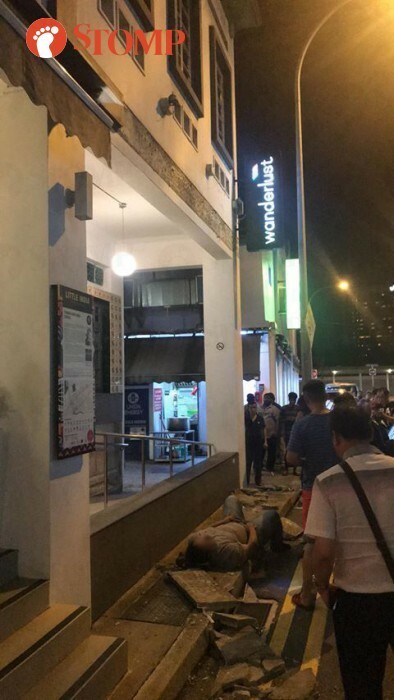 Chua contributed several photos that he took at the scene, showing the man lying on the pavement and surrounded by a crowd. Large slabs of concrete, which Stomp understands to be part of the hotel's facade, and debris can be seen around him. In a video that Chua filmed, the victim can be seen in a semi-conscious state, with one hand outstretched. Chua added: "The man seemed to be in pain and couldn't move at all." Stomper Rohaizat also alerted Stomp to several videos of the incident that have been circulating on social media. 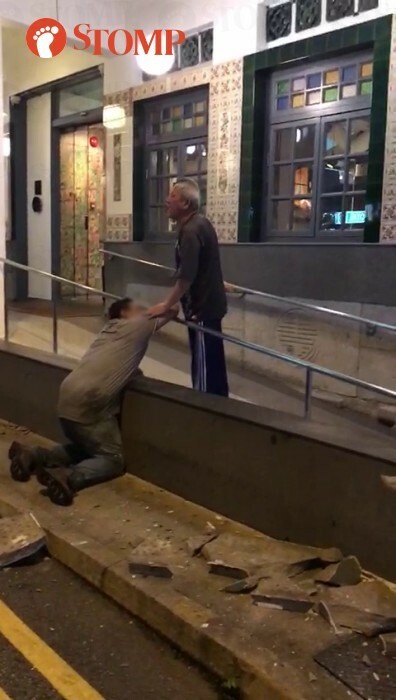 In one clip, the man can be seen leaning against a railing in a kneeling position, before an older man helped to lift him onto the ground. The man appeared to be groaning in pain as passers-by told him, "Ambulance coming." Other videos showed paramedics attending to the man and an ambulance at the scene. SCDF officers can also be spotted outside the building with a ladder. Responding to Stomp queries, a BCA spokesman said that it was alerted to the incident by the police at around 12.30am regarding a fallen architectural feature outside the hotel. The spokesman told Stomp on Wednesday (Nov 28): "We understand from the police that a passer-by was injured and was sent to the hospital for treatment. "BCA engineers immediately inspected the incident site and observed that a strip of architectural feature made of plaster, estimated to be 4.0m by 0.3m in size, had fallen off from the second floor of the building. "As an immediate precautionary measure, the affected area directly below, where the architectural feature had fallen from the building, and other parts of the building facade with the similar feature have been cordoned off. "BCA has instructed the building owner to appoint a Professional Engineer (PE) to investigate into the cause of the incident and inspect the condition of the rest of the building façade, as well as to carry out permanent rectification works as recommended by the PE." The authority is investigating into the incident further, it added.